We provide instant on-line quotes for cheap civil engineers tradesman insurance from our panel of leading liability insurance providers. Our quotes service provides you with access to some of the best deals available for cheap tradesman insurance and all quotes and provided with full details of policy terms and conditions, premium information and specimen policy wordings for your approval. 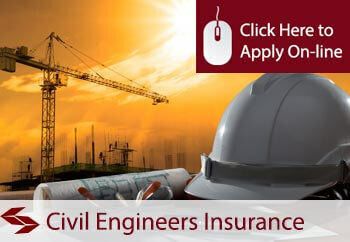 So start saving on your civil engineers tradesman liability insurance and apply on-line for cheap civil engineers tradesman insurance or call us direct to discuss your requirements with our specialist brokers who will be happy to work with you to ensure that you obtain our best possible terms for your tradesman liability cover.